Home » Safety » Is It Safe to Use Curcumin During Pregnancy? Can women who are pregnant (especially women who do not know they are pregnant) use curcumin safely during pregnancy? The answer to this question is an unqualified “Yes!” based on over 30 years of research. In fact, taking curcumin probably reduces the risk of several common birth defects. However, I am not offering medical advice here, so if you want that, consult your doctor. All I will do is tell you about the research backing up the safety of curcumin during pregnancy. The greatest threat to the health of the unborn child during the first trimester of pregnancy is genetic damage. When the embryo is exposed to medications or chemicals that cause genetic damage, the result can be birth defects, or, more often, miscarriage or spontaneous abortion (abortion that is not induced by a drug or medical procedure). The mother’s body protects the embryo against substances that can cause genetic damage by morning sickness. Even though most women can’t eat curry during the first trimester of pregnancy because of stomach upset (some women actually crave curry after they get past their morning sickness), there’s substantial reason to believe that it is safe for women to use curcumin supplements during the first trimester of their pregnancies. Obviously, no one is ever going to run a scientific clinical trial that carries any potential risk to pregnant women or their babies. What science knows about curcumin and safety during early pregnancy has been established through animal testing. Experiments with animals testing found that taking the equivalent of 3,000 mg of curcumin a day did not cause mutations in bone or blood cells, and did not alter the percentages of pregnancies resulting in healthy births. One study even suggested that taking curcumin could protect the unborn from the effects of alcohol consumed by the mother during early pregnancy. Alcohol consumption during pregnancy can be very destructive to the unborn child. It can cause brain damage, heart damage, and serious respiratory complications if the baby is born too early. If you are a woman of reproductive age and you could become pregnant, and you drink alcohol on a regular basis, taking curcumin offers a layer of protection against casual or accidental drinking alcohol during early pregnancy, before you know you are pregnant. Indian researchers have found that curcumin protects against the destruction of brain tissue caused by fetal alcohol syndrome by deactivation the genes that cause apoptosis (“cellular suicide”) in the brain of the embryo after alcohol exposure. 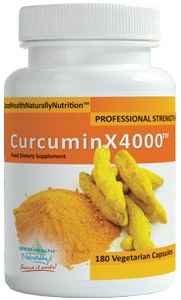 Curcumin also protects against heart defects triggered by the mother’s consumption of alcohol. Medical researchers at the Children’s Hospital at Children’s Hospital of Chongqing Medical University in China have found that curcumin protects against the activation of genes that cause heart defects when alcohol is consumed during pregnancy. And curcumin may also protect babies from respiratory problems triggered in early pregnancy but only showing up when they have to be delivered before full term, in the sixth, seventh, or eighth month of pregnancy. Scientists at the Harbor-UCLA Medical Center in Los Angeles have also found that, at least in laboratory testing, curcumin helps fetal lung tissue mature so that even if the baby is born prematurely, the lungs will be better developed. Is Curcumin Safe in Late Pregnancy? There is also substantial reason to believe it is safe for women to use curcumin supplements during the second and third trimesters of their pregnancies. After the third month, one of the most important concerns is not going into labor too soon. Herbs that induce labor have to be avoided at least until the baby has reached full term. There is no indication that taking curcumin can cause a pregnant woman to go into labor too soon. In fact, in studies of the isolated uterine tissue at the Samuel Lunenfeld Research Institute in Toronto, curcumin is used to inhibit muscle contractions. Curcumin by itself will not stop labor because it only affects one of the ways the uterus is activated when the mother goes into labor, but pregnant women should, however, discontinue the use of curcumin at least a week before their due dates. Oldenhof AD, Shynlova OP, Liu M, Langille BL, Lye SJ. Mitogen-activated protein kinases mediate stretch-induced c-fos mRNA expression in myometrial smooth muscle cells. Am J Physiol Cell Physiol. 2002 Nov;283(5):C1530-9. Sakurai R, Li Y, Torday JS, Rehan VK. Curcumin augments lung maturation, preventing neonatal lung injury by inhibiting TGF-beta signaling. Am J Physiol Lung Cell Mol Physiol. 2011 Nov;301(5):L721-30. doi: 10.1152/ajplung.00076.2011. Epub 2011 Aug 5. Tiwari V, Chopra K. Attenuation of oxidative stress, neuroinflammation, and apoptosis by curcumin prevents cognitive deficits in rats postnatally exposed to ethanol. Psychopharmacology (Berl). 2012 Dec;224(4):519-35. doi: 10.1007/s00213-012-2779-9. Epub 2012 Jul 13. Vijayalaxmi. Genetic effects of turmeric and curcumin in mice and rats. Mutat Res. 1980 Oct;79(2):125-32. Wang L, Sun H, Pan B, Zhu J, Huang G, Huang X, Tian J. Inhibition of histone acetylation by curcumin reduces alcohol-induced expression of heart development-related transcription factors in cardiac progenitor cells. Biochem Biophys Res Commun. 2012 Aug 3;424(3):593-6. doi: 10.1016/j.bbrc.2012.06.158. Epub 2012 Jul 7. Thank you so much Dr. Williams for having this information available. I was diagnosed with ulcerative colitios after my first child. I am now expecting my second child. I needed a safer alternative for inflammation. Thank for your hard reasearch. 🙂 I am afraid to have a flare up again. A flare up is most common after child birth but I’m hoping this will help. Is curcumin safe to use while breast feeding? Does it effect a woman’s milk supply? Sorry Whitney, but you need to consult your own doctor for advise like this.